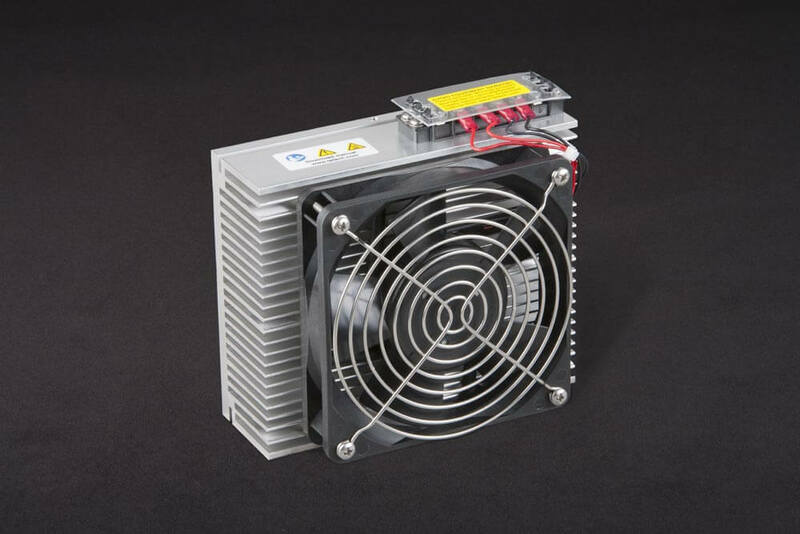 Features: Provides good cooling for small heat loads at low temperatures. This is made possible by using a large heat sink for only one thermoelectric module and an extender block that allows extra insulation between the heat sink and cold plate. Powered by 12 VDC, its low power consumption makes it compatible with all of our temperature controllers. This is a variant of the CP-036 which allows for heating up to 100 °C. Provides good cooling for small heat loads at low temperatures. This is made possible by using a large heat sink for only one thermoelectric module and an extender block that allows extra insulation between the heat sink and cold plate. 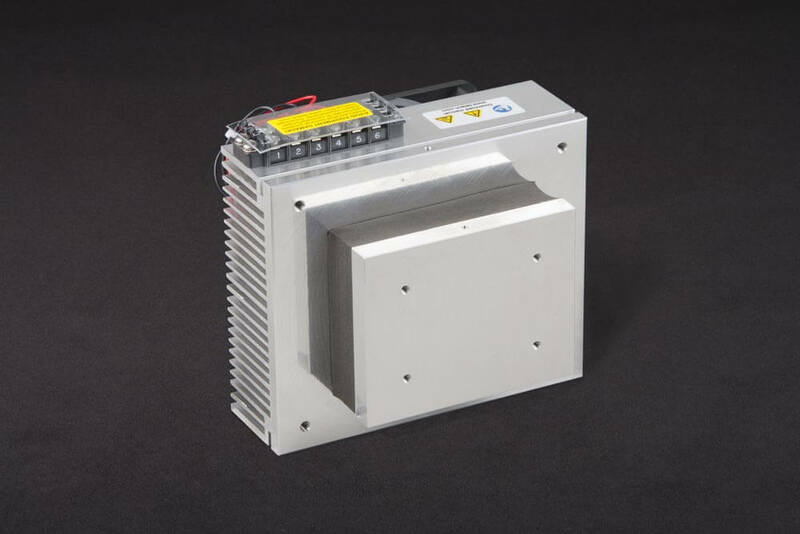 Powered by 12 VDC, its low power consumption makes it compatible with all of our temperature controllers.